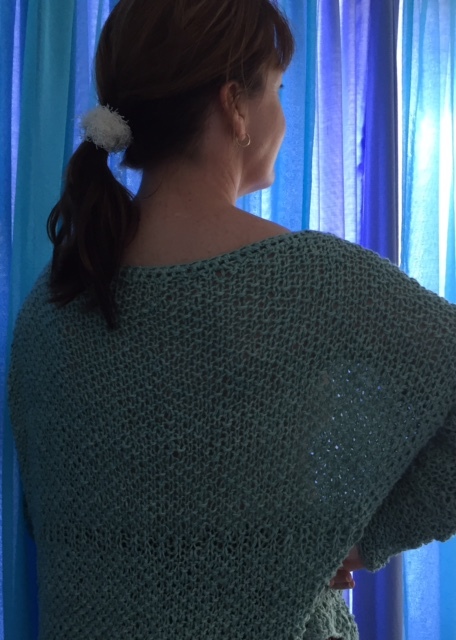 I have just finished knitting myself a sweater and it was so easy so this post is how to knit a sweater that is so easy that beginners can do it. 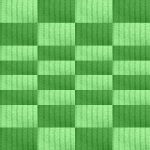 All you need to know how to do is plain and purl stitch. 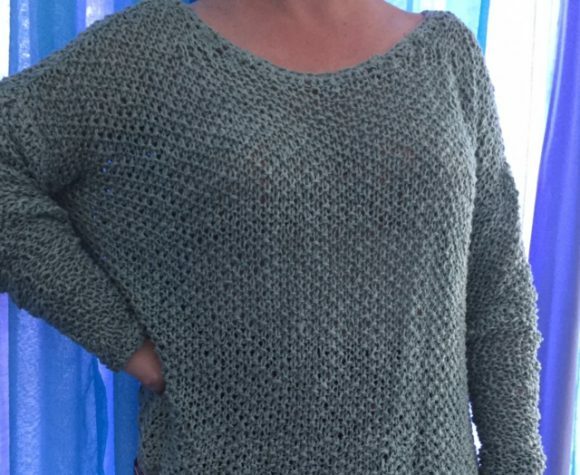 At the end, you will need to finish the sweater off with some crochet. I just looked up on the net how to do it and it was pretty simple to pick up. The other option is to ask someone who knows how to crochet to show you or to do it for you. That part is quick – about 2 hours work. This sweater is a real floppy top, and it is just so comfortable to wear. You can dress it up or down as you like, by just adding a pretty scarf. This is the one that I made. It even has some mistakes in it (that I was too lazy to go back and pull out) and they hardly show due to the type of pattern it is. At the back you can see a line where I accidentally knitted two rows the same, so it looks like ribbing in the middle of the jersey. It is not a very warm sweater and is best for wearing at the beginning or end of the winter season. This is one of those one size fits all types of patterns. 8 balls of 88mm/50g DK wool in a color of your choice. I used a wool that was 70% organic cotton and 30% bamboo. This wool has a heavy feel to it and knits up very well using thick needles. Make sure to check the tension with the wool you are using, or you may end up with a garment that is way to big or too small. 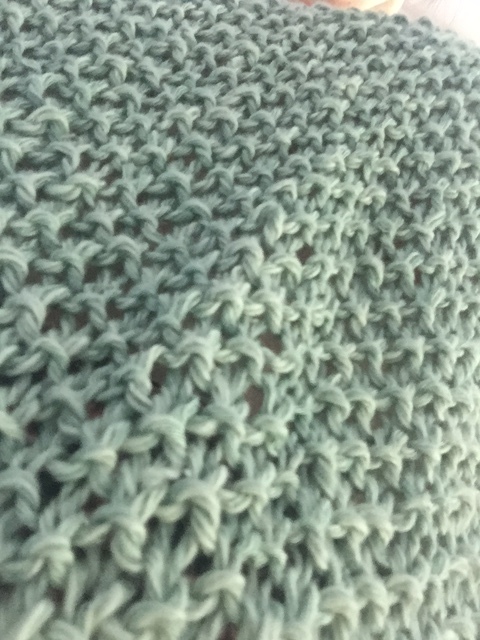 The entire sweater is knitted in seed stitch. So throughout the knitting of this sweater, you will be knitting 1 stitch then purling one stitch. Remember to take the wool over the needle each time. (to the back when you knit and to the front when you purl). If you have an odd number of stitches on the needle, every row will start with a k1, p1 all the way through. 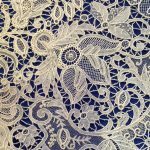 If you have an even number of stitches on the needle, every row will start differently. 1st row will be k1, p1 and the next row will be p1, k1. You can start every row off with a k1, p1. If your work starts to look like ribbing, you are doing something very wrong! Make sure to knit the stitches that have the V-shaped bump in front of the needle and purl the stitches that are flatter. Knit 35 sts, cast off 5 sts, knit 35 sts. With this part you will knit the two sides separately, keeping the other stitches on the needle. Knit back to neck edge. Cast off 3sts at beg of row and knit to the edge. Cast off 1 st at the beginning of the row and knit to the edge. Knit 1 row then cast off 25 sts. Re-join the wool to rem sts at neck edge and immdkiately cast off 3 sts. Knit back to the neck edge. Cast off 3 sts, knit to the edge. Cast off 1 st and knit to the edge. Increase 1 st at beg and end of this row and then every 4th row thereafter. There will be 12 increases altogether and you should now have 42 sts. After joining the body and sleeves finish the garment by crocheting one row of double crochet around the neck. The sleeves are extra long and are meant to bunch around the lower arm. If the sleeves are too loose, you can tighten them by crocheting one row of double crochet around the wrist area. Using a 6mm crochet hood crochet a border made up of two rows of triple crochet and one row of double crochet around the bottom of the sweater. There you have it, you now know how to knit a sweater.